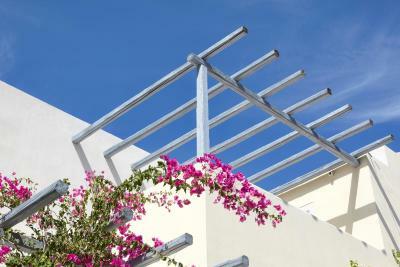 Lock in a great price for Atlantis Beach Villa – rated 8.8 by recent guests! 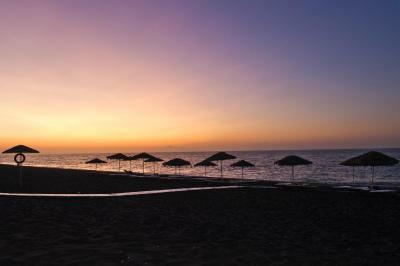 Location on the beach, with sunbeds included. Very helpful staff, they helped us even with last minute requests. Good breakfast. Very good hotel and veey friendly ans helpful staff. Highly recommend for couples or families. 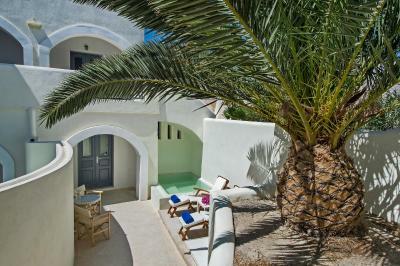 The property is really nice, right on the beach, very peaceful area and within easy access to airport and fira. Highly recommend it. 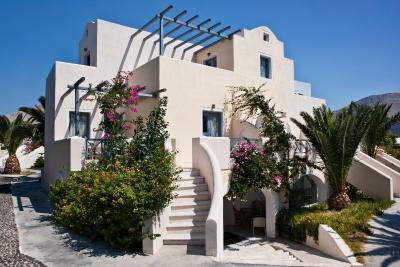 The Villas were located by the beach, we only had to cross a street to get to the sea. the receptionist helped us with the arrangements for the excursion & arranged the quad for a day. the pool site/bar area was great. Was amazing!! Everything was perfect, staff, breakfast, room, bathroom and really nice view on the pool. Had a lovely traditional Greek feel. Pool area was lovely and peaceful. Staff were helpful especially the receptionist. Very close to the beach. Also very good restaurants nearby. The staff was always very nice and friendly and always happy to help with everything! Everything! Most comfortable beds we've slept in in 3 weeks of travelling. 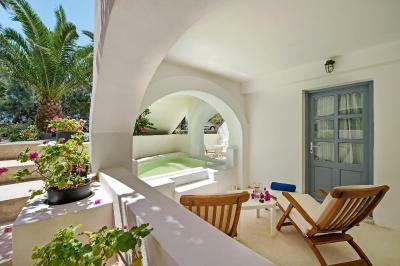 Atlantis Beach Villa This rating is a reflection of how the property compares to the industry standard when it comes to price, facilities and services available. It's based on a self-evaluation by the property. Use this rating to help choose your stay! 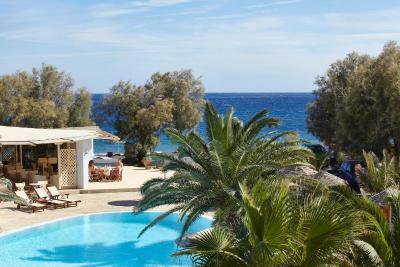 Atlantis Beach Villa enjoys a direct beachfront location on the unique black sandy beach of Perivolos. 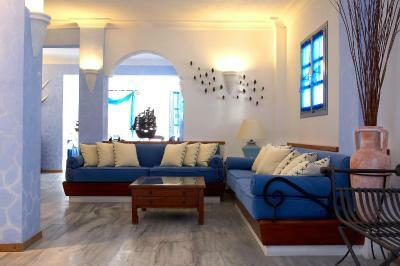 The hotel, built according to the traditional Cycladic architecture, disposes 33 rooms and studios. 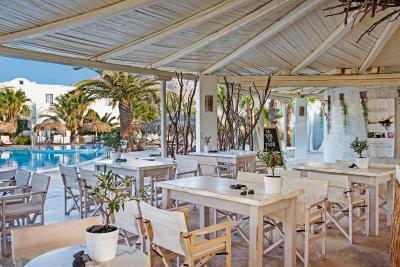 Among the various amenities offered, Atlantis Beach Villa provides a swimming pool with a separate children's area, sun-beds and pool bar. Pool towels are provided. Wi-Fi internet is available in the entire complex and is free of charge. 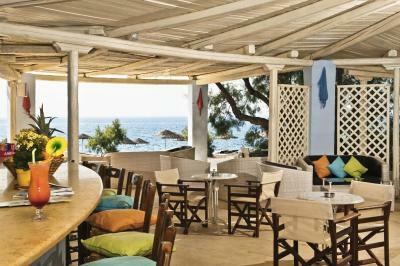 Although at a quiet location, Atlantis is conveniently close to restaurants, taverns and bars. 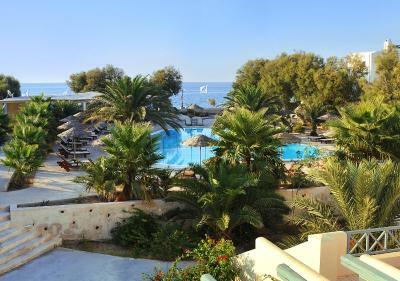 The center of Perissa is just a 10-minute walk away and Santorini’s Water Park is within easy reach, only 1,950 feet from the hotel. 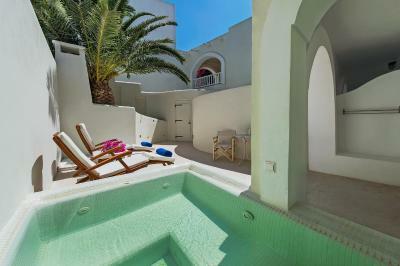 When would you like to stay at Atlantis Beach Villa? 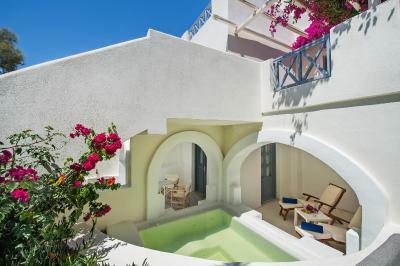 This room offers a balcony overlooking the Aegean Sea. It includes air conditioning, satellite TV and fridge. This room offers a balcony. It includes air conditioning, satellite TV and fridge. 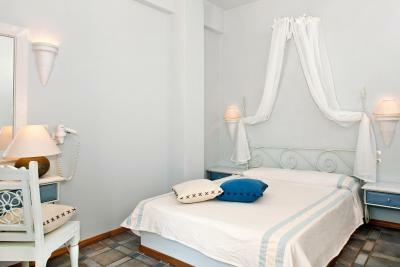 Offering a kitchenette with fridge, this studio includes a balcony, air conditioning and satellite TV. 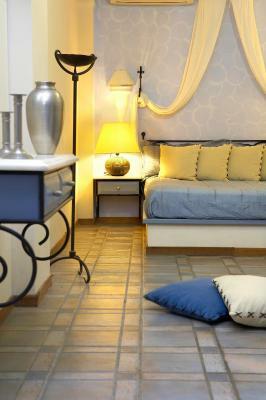 House Rules Atlantis Beach Villa takes special requests – add in the next step! Atlantis Beach Villa accepts these cards and reserves the right to temporarily hold an amount prior to arrival. Some smell in the bathroom. Breakfast wasn’t the best but wouldn’t put me off. Not much; perhaps the restaurant/bar could have served food after 5pm, but that's about my only complaint. Bathroom small and dated and in desperate need of being modernised. Shower tray very small with only a curtain around and some only have handheld shower. Sunbeds around the pool very old and in dire need of being replaced. Terrible wifi connection in the room. The grounds of the hotel were beautifully kept. The pool area was perfect. Staff were all beautiful. Rooms were good and breakfast was really good. Across the road from the beach. Great places to eat walking distance from hotel. Room's air-conditioner made annoying noises (Room 18). Bath was super small. No complimentary water in the room. Nearest mini-market was about 10 minutes by walk. 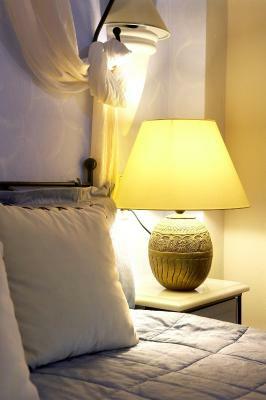 Location is excellent if you are there for relaxation. 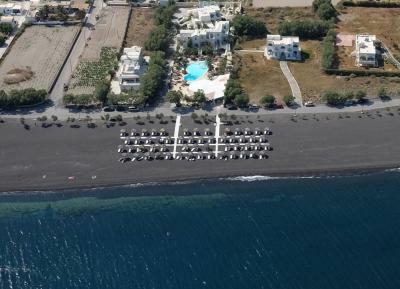 It's close to the Perivolos beach (one of the best beaches of Santorini) and as a hotel guest you can use sunbeds and umbrella free of charge (price is 8 Euro for non-guests). Area is lovely with a lot of restaurants and beach clubs. Bus station to Fira is about 7 minutes walk. It takes about 40 minutes by bus to go to Fira. Hotel's reception staff are among the best I've ever seen, always ready to help. Breakfast was excellent with many choices. The coffee at breakfast was not good. 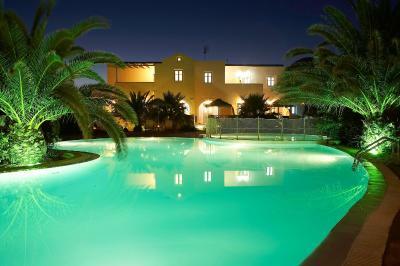 The staff is wonderfull, Cristina at the reception desks is cheerful helpful and runs the hotel very profesionally. Caterina at breakfast has always a nice compliment and is ready to help. Alex the afternoon receptionist y always happy to help. The night staff is also very nice, we left before the breakfast was availble and he very nicely offered us coffee. The beach boys are also alert and well educated. 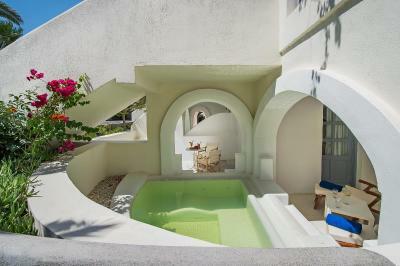 It is well located, with sun beds on the beach and pool. Breakfast is very good. lovely relaxed atmosphere. All staff very friendly and helpful.